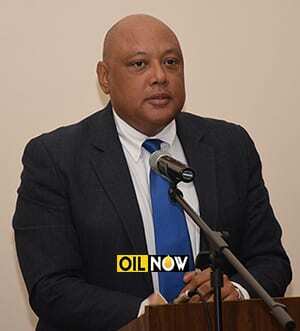 Speaking at a reception on Tuesday to mark the start of the development phase of Liza Phase 1 in Guyana, the country’s Minister of Natural Resources, Raphael Trotman, said responsible governments do not arbitrarily redefine contract terms with a company merely because it made significant oil discoveries. Mr. Trotman’s statement is a direct reaction to calls which have been made by some in Guyana for the Production Sharing Agreement between the South American country and ExxonMobil to be renegotiated. The company initially signed an agreement with Guyana in 1999 after which it went on to make the giant Liza discovery in 2015 – the largest find in the world for that year. ExxonMobil has made seven discoveries offshore Guyana totaling more than 3.2 billion barrels of recoverable crude. This has prompted some in the country to call for a renegotiation of the deal in order for Guyana to get more than what was agreed to when the contract was signed. But the Natural Resources Minister sees such an approach as irresponsible and not reflective of how organized states are governed. “That they were the first to find a large deposit should not redefine their contractual terms or place them in any position lesser than that enjoyed prior to the discovery. For Government to do otherwise is just not how responsible and well organised and governed states function,” he pointed out. Also in attendance at the reception to mark the start of the Liza development offshore was ExxonMobil Development Company Vice President, Lisa Waters, Country Manager, Rod Henson, and Ministers of State, Business and Public Infrastructure; Joseph Harmon, Dominic Gaskin and David Patterson respectively. 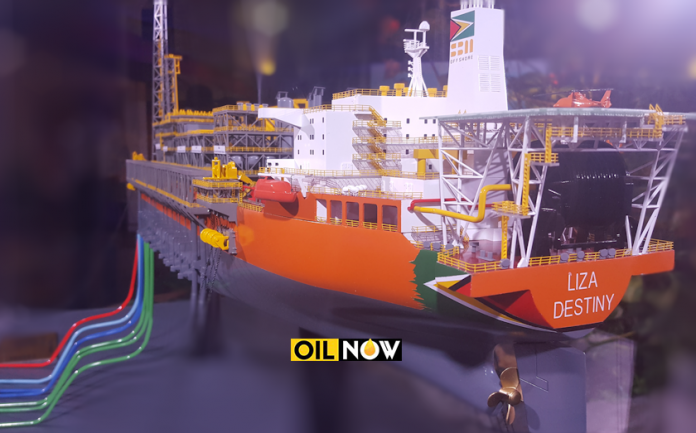 As reported by OilNOW on June 1, ExxonMobil spudded the first of 17 wells for the Liza Phase 1 development in Guyana at the beginning of May in what was described as a landmark occasion by the company. The first well also happens to be a ‘producer well’ and was drilled almost 3 years to the day the giant Liza discovery was announced back in 2015. The development wells are being drilled by the Noble Bob Douglas which began spudding the first well following its unsuccessful search for oil at Sorubim-1 in April, some 83 nautical miles off the Guyana coast. The Liza Phase 1 development is located approximately 120 miles offshore in water depths of 1500 – 1900 meters. Four drill centers are envisioned with 17 wells in total; eight production wells, six water injection wells and three gas injection wells. First oil is expected by March 2020 although some analysts believe this can come sooner.